2016 Starcraft 176STARFISHDCFS, The Starfish 176 DC Fish & Ski aluminum fishing boat from Starcraft has the features and versatility you're looking for in a value-oriented boat. In fact, Starfish packs legendary Starcraft quality into a great deal, thanks to its Power Trac Hull, Torsion Beam Construction and double riveted seams. You also get the durability of a pressure treated deck and deluxe wood-free fishing seats. When it comes to features, Starfish delivers with a great console, 18- and 14-gallon aerated livewells and an optional sonar unit, trolling motor and battery charger. 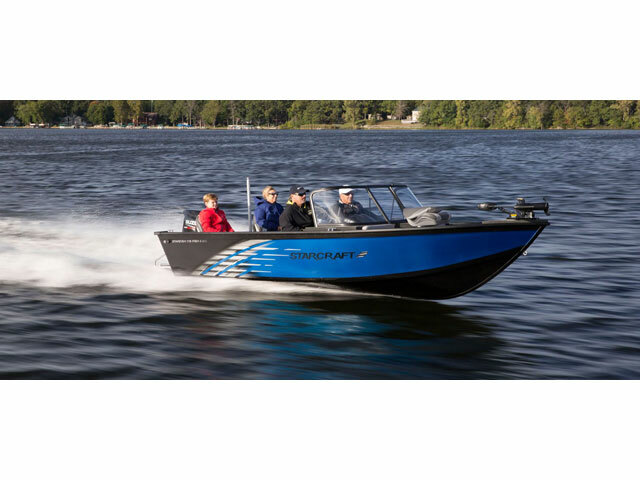 With a ski package that includes bow cushions, a ski pylon, and a swim platform, this boat is packed with fun for every member of your family.